Whether you choose one product from the Epionce Skin Care System or more, your choices are simple. Your skin care regimen starts with your skin type first, to provide a healthy foundation from which to build. 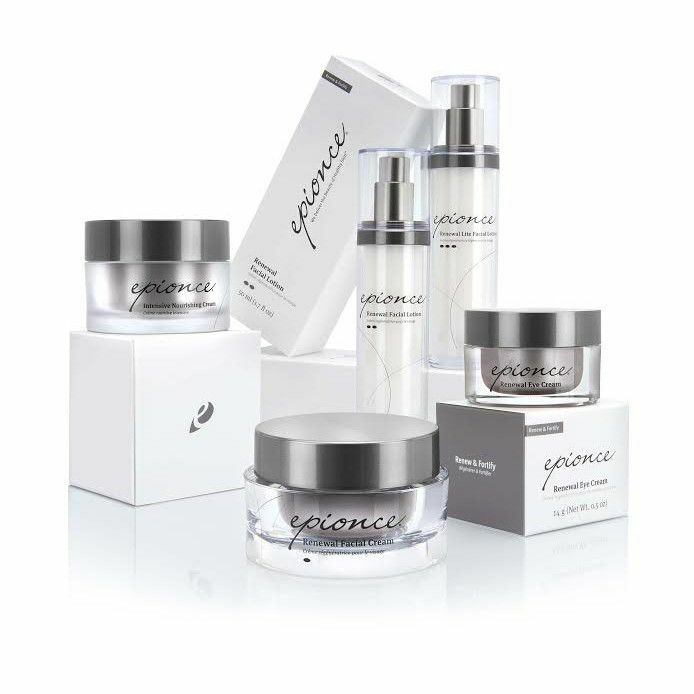 Epionce Renew & Fortify products help reduce the visible appearance of fine lines, wrinkles, and dark spots. The result is smoother, softer, healthier-looking skin. Daily use of Epionce Skin Care Protect & Prevent products helps to prevent premature skin aging and helps reduce the risks associated with UVA/UVB exposure. Epionce sunscreens are formulated for advanced daily protection from the sun while maintaining the most elegant aesthetic qualities – smooth application and no white residue. Ideal for sensitive skin alone or under makeup.